in the small blank ("secrecy") envelope and seal it. (2) Put the bottom form ("affidavit") where you sign in the addressed ("return") envelope. (4) Attach a stamp and mail! 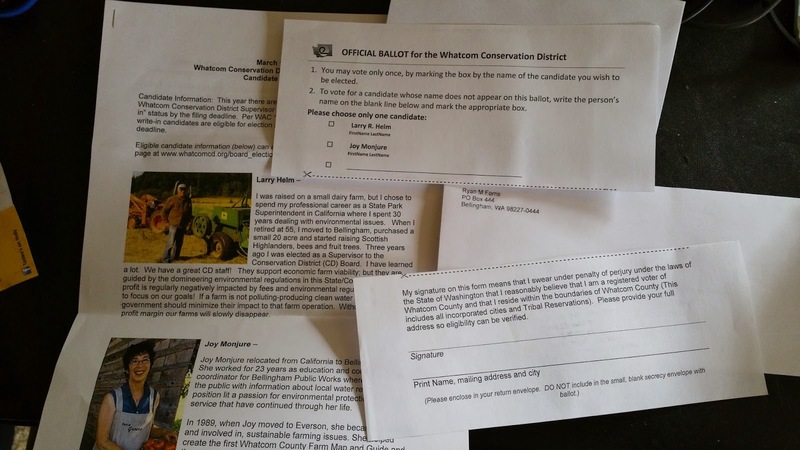 There are "Instructions to Vote Your Ballot" on page 2 of the enclosed handout. How could anything possible go wrong?